I work with my clients to develop, implement and monitor ongoing wealth management plans designed to optimize preservation, growth, income generation and the eventual transfer of their wealth. For more than two decades, I’ve focused on long term wealth management for high net worth individuals and their families. My strength is in mentoring you to define and achieve your financial goals. I help a select group of families sort through the complexities and potential confusion that many of us experience as we progress through life’s numerous transitions. My knowledge, experience and credentials allow me to employ a comprehensive wealth management approach-one that looks at the total fabric of your life. As a driven individual and one focused on bringing my best to my clients, I have spent my career obtaining designations and continuing education in order to better serve and anticipate my clients’ needs. Clients say that I go above and beyond when it comes to my comprehensive and detailed-oriented approach to wealth management and financial planning. I’m an effective communicator; my goal is to engage with you frequently about matters that are top of mind in your life. In that way, my advice and direction comes not just from market expertise and experience, but from listening to you. I’m also a student of the financial markets and with that comes a thorough understanding of the various economic cycles as well as an application into risk management when it comes to managing your money. I have successfully helped numerous families plan, budget and remain retired, ensuring they do not outlive their capital in their golden years. I’m an outgoing person who enjoys meeting new people and hearing about their life experiences. Growing up as the child of a corporate executive, I spent many of my formative years overseas living in London, Mexico City and Australia. When I’m not working, I love to travel, play tennis, golf, cycling and go scuba diving. I graduated from the University of Colorado in Boulder with a degree in Accounting and obtained my C.P.A. credentials. 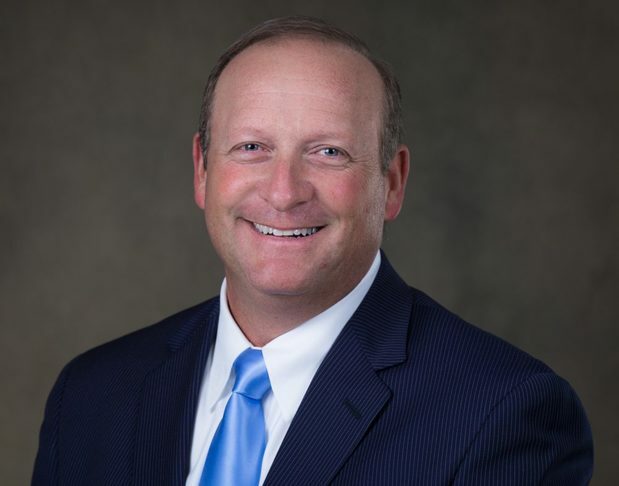 Kevin Goldin provides a high level of service and attention to each of his clients, acting as their family CFO, as that title best describes the comprehensive planning and financial management role he serves in their lives. Combining the industry leading global resources of Morgan Stanley and his breadth and depth of experience, Kevin builds financial plans to help clients grow and preserve their wealth. Understanding that every client has unique needs, each portfolio is customized and balanced with an appropriate level of risk relative to each client’s situation and desired outcome. Kevin works diligently with clients to help them confidently plan for retirement and to create a roadmap designed to achieve the financial future they envision. For more than 23 years, Kevin has worked with a diverse clientele of corporate executives, affluent individuals and business owners that appreciate his analytical skills, financial experience and training in technical research. Prior to becoming a financial advisor, he was a Certified Public Accountant (CPA®) with Coopers & Lybrand. Kevin has earned his Certified Investment Management Analyst (CIMA®) designation which signifies a high level of consulting experience with asset allocation, ethics, due diligence, risk measurement, investment policy and performance measurement. Kevin earned a B.S. in Accounting from The University of Colorado at Boulder. Kevin is an outgoing person who enjoys meeting new people and hearing about their life experiences. Growing up as the child of a corporate executive, Kevin spent much of his formative years overseas living in London, Mexico City and Australia. When he is not working, he loves to travel to see more of the world, play tennis, golf, cycling and go scuba diving.